Many would say that becoming a great speaker is an art. Any art can be achievable and made better through learning and practice. 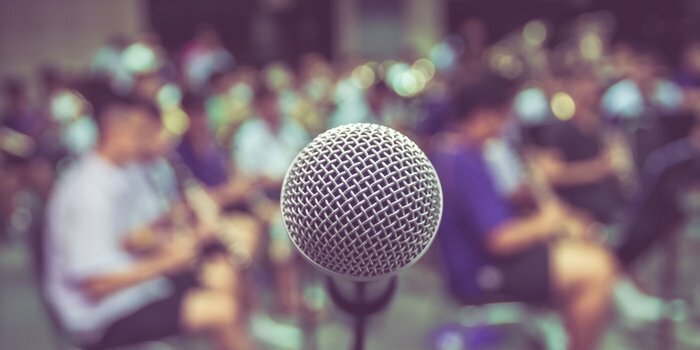 Here are only some of the many tips that you can get to be a better speaker. The simplest yet one of the hardest things to do on stage is to actually make eye contact with the audience. Move your eyes around and don’t focus only on one part of the room. If you’re still having difficulty, just look at the audience’ foreheads instead. They usually won’t notice and think your making direct eye contact. When you’re on stage, usually you hardly grasp the amount of time you speak. This is partly because you are nervous and anxious. Some people would say “Speak as fast as you think you need to.” This way notice when you’re probably talking too fast and need to slow down. Body language compliments verbal communication. Your posture and actions can make or break your appearance on stage. When you’re nervous, this unconsciously shows through your body. Fidgeting with your fingers, swaying too much, or keeping your hands in your pockets the whole time are only some of the signs. See yourself first to realize how your audience views you. By doing this, you will be able to recognize things you did not even notice before. You may observe that you’re doing unnecessary gestures, or maybe you’re talking too fast. With that, you are able to fix anything that needs to be fixed. 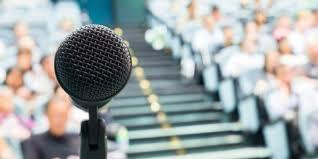 While doing your speech, focus on the topic and not how you perform it. This is to highlight that the content of your speech is something to be listened to and not just taken for granted. If you focus too much on how to perform it, chances are the contents of your work will not leave an impact. 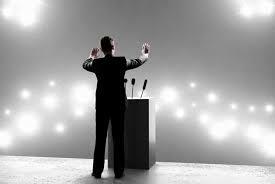 Nobody delivers a perfect speech. The difference with a really good one and a bad could be because the speaker is trying too hard. Simply sounding natural can be a good way to put it. You could easily differentiate someone who speaks naturally and someone who sounds like a robot trying to sound perfect. Just like in everything we do, improving in speaking comes with a lot of time and practice. A good piece of advice would be that your goal is not to practice until you get your speech right, it should be to get your piece wrong. That way you can recognize your mistakes before taking the stage.